Besides the services already included that we offer to customers who rent the apartments or the Villa of our farm, we provide additional services to further enrich your holiday and your stay in our structure. 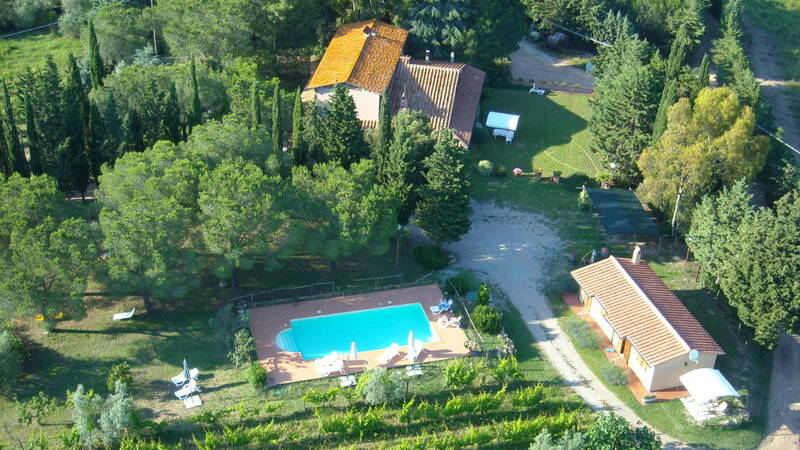 The splendid swimming pool (6×12 meters) is inserted in the pine wood from which it is possible to enjoy a splendid view of vineyards, olive groves and Massa Marittima. Equipped kitchen, microwave, refrigerator, Italian coffee machine, complete with dishwasher, detergents. Complete with plates and cutlery with oven and stove. Taste and sale wines and oil of our production and biological. Exclusive outdoor patio with access to the private garden, 1500 square meters, with garden furniture and barbecue grill. Rooms with private entrance, complete linens, towels, soaps and basic necessities, small bad and high chair for children, hair dryer, clothes hanger, iron, washing machine, hot water, fireplace. Air conditioning, heating, TV with satellite connection and pocket WiFi. In the horseback schools near our structure, it’s possible to go horse riding in the surrounding countryside. There are also organized horseback lessons for groups and individuals. For lovers of cycling holidays, we offer the opportunity to take advantage of guided tours from our structure and to rent mountain bikes at a convention center.